When we first started out, we made so many different flavors and created them based on what ingredients we thought would just taste good together. Through our journey we started to put more intention into the flavors we created, using ingredients that work harmoniously to create additional benefits. 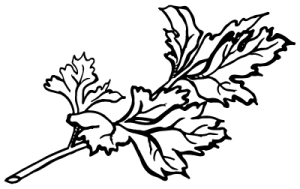 Learning more about medicinal herbs and Ayurvedic medicine has really been inspiring, and we are starting revamp some of our old favorites to make them more intentionally and medicinally charged! This week, we are releasing our first batch of apple + ginger + turmeric + lemon, in which we have added organic black peppercorn and organic long pepper. Although there isn't a significant change in the flavor profile, the peppers create additional health benefits. First, studies have shown that consuming black pepper with turmeric enhances the health benefits of the turmeric, which contains antioxidant, anti-inflammatory, antiseptic, anti-fungal, anti-bacterial agents. The key beneficial compound in turmeric, curcumin, is very quickly metabolized leaving it little time to absorb into your system. The addition of the black pepper inhibits certain digestive enzymes, allowing the turmeric to linger in the body longer and be absorbed better. Second, ginger, black pepper, and long pepper is an Ayurvedic combination called trikatu. Trikatu means “three peppers”, and its primary effects are in the upper GI tract, where it enhances the “digestive fire” necessary for the breakdown of food and absorption of nutrients. Ayurvedic practitioners consider Trikatu a “warming formula,” used to awaken Agni (digestion) and destroy Ama (accumulated waste & toxins). Trikatu is stimulative in nature, good for liver, spleen and pancreas. Trikatu choornam stimulates stomach to produce enzymes. Hence it helps in digestion. Trikatu is also good for respiratory system. 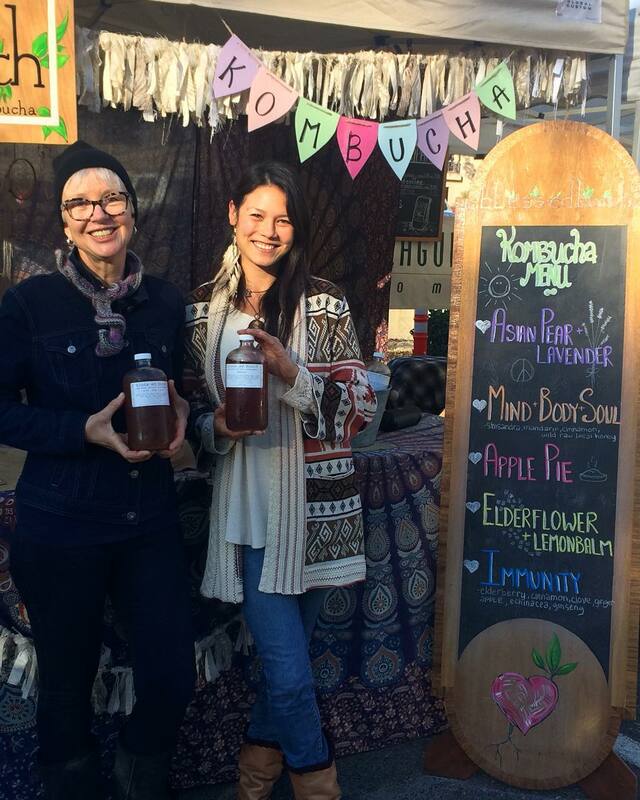 Come down to the Laguna Beach Farmers Market for a taste, and stock up on your booch for the week! 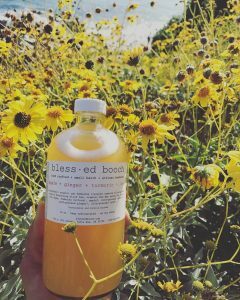 Laguna Canyon Road and Forest Ave.
bless·ed booch (pronounced 'blesid') is an artisan, hand-crafted, small-batch kombucha company fueled by a bubbly passion to make all humans healthier. That passion started in a small kitchen, grew into a slightly bigger kitchen, and now, lives lovingly in your refrigerators.